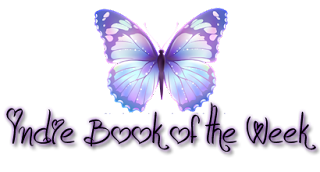 This weeks Indie Book of the Week goes to an author that is all about the originality and her latest book, Witch Hearts is not an exception! If there is one thing that I know I can expect from Ms. Long is that when I pick up one of her books I know I can expect something different, unique and engaging. Long convinced me with her debut novel Gifted that she could write and with Witch Hearts she kept that belief alive and kicking. This book has a little bit of something to please everyone. It is full of mystery, romance, magic and a psychotic killer on the lose that will keep you on your toes. Just when I thought I read it all pertaining to witches, Long throws in a whole new aspect and story line that really had me engrossed and I had a hard time putting it down. In fact, I had no intention of starting this one and finishing it in one day. I only wanted to read the first chapter and get a feel for the story and characters. That one chapter of course, turned in to many and before I knew it, I was done with the story. I was pretty entertained right up until the last page. I love a good mystery and it was nice to get one with a paranormal twist that kept me guessing, where everyone is a suspect and nothing is sacred. Where you will be on the edge of your seat and sometimes have your hand over your eyes cringing in anticipation over what will happen next. 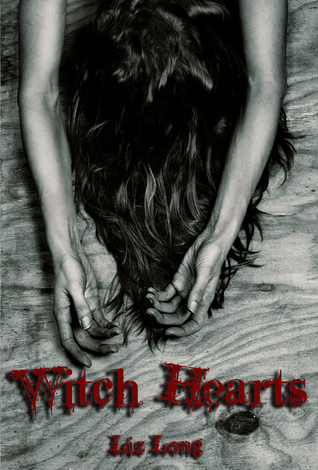 If you love witches as much as I do and want something a little different to go with those witches, then this really is something you should try. My hat goes off to Ms. Long for creating something fun and different in the genre. Oh that cover is creep-tastic and I love all of the elements in this. Glad you enjoyed this and that the author continues to impress you, adding this one to my Amazon wishlist. Ooo that is a eerie cover for sure! I haven't read very many witch books, so I'm excited that this one got such a positive review for you! I'm always on the lookout for something new and different to try, and clearly this author delivers on those fronts! Oh yes, this one sounds creepy and intense! Glad you liked it! Thanks Candace, I hope if you try this one you like it as well. I read this one not long ago and loved it! Liz is a fabulous author! Unique and engaging are pretty much magical words this summer. I like books about witches so I'm always up for adding another one to my list. And I do love the cover too. Thank you SO much for the amazing review. I am thrilled you enjoyed it! And thank you to all the nice comments, especially about the creepy cover - I've achieved my goal ;) Thank you, thank you, thank you for all you do! !